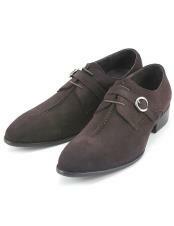 Men's shoes are an important of the overall outfit. 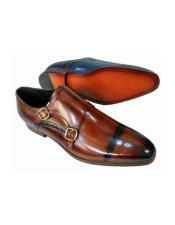 To complete an ensemble, right from the outfit to the accessories and shoes each and every part plays a vital role. 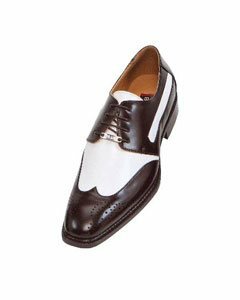 The outfit, the shoes and the accessories all play an important role to define the style quotient and personality of the individual. 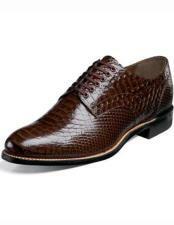 While the black dress shoes for men are considered to be the most common and matched option with all colored outfits, there is an alternative to the common color black that can be replaced with the sizzling brown. 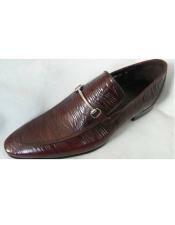 Yes, brown dress shoes for men are a highly promising alternative for the black dress shoes for men. 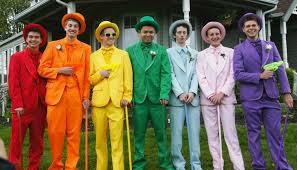 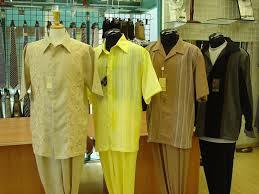 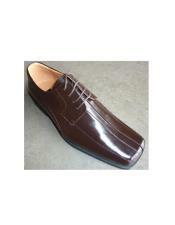 Mens brown dress shoes can be worn with all colored men's suits and formal outfits. 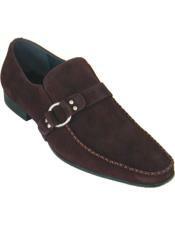 The only rule that has to be followed is that the belt, watch and shoes should be of the same matching color. 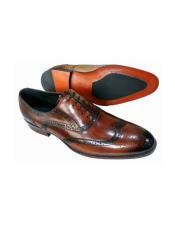 When you choose to wear mens brown leather dress shoes, make sure that you are in the same shade of brown for the watch and the belt. 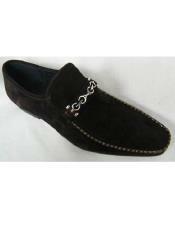 This will create an amazing style impact of your overall personality. 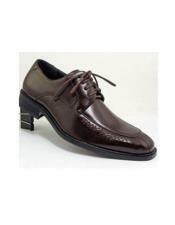 In the recent trend, mens brown dress shoes are fashion friendly and a highly stylish option to consider. 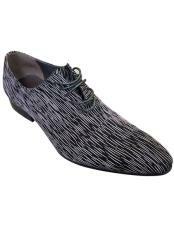 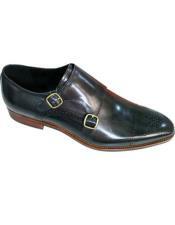 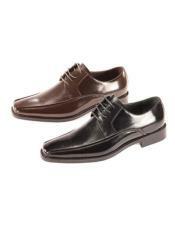 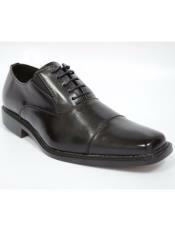 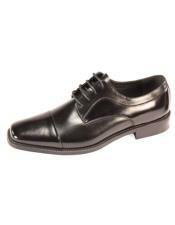 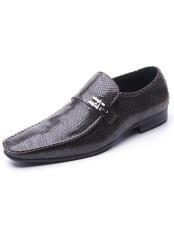 Brow dress shoes for men come in different styles ranging from formal to casual. 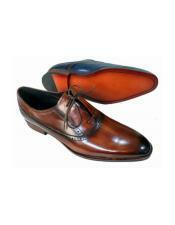 Brown leather dress shoes are the best options to consider for formal wear. You will find a number of options in formal brown shoes for men like mens brown dress shoes with buckle, brown pointed dress shoes, and square toe style brown shoes, round toe style brown shoes, and so on. 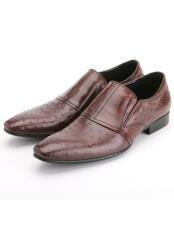 When it comes to the color of the brown shoes for men, you can pick from different shades of brown like light brown leather dress shoes, dark brown shoes, sand brown shoes, chocolate brown shoes, coco brown shoes and so on. 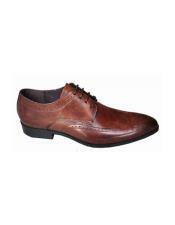 Casual brown shoes for men come in classic styles like lace-less dress shoes, the dual tone brown casual shoes for men, suede casual brown shoes for men and so on. 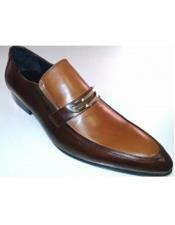 Based on the type of outfit you can pick either a formal brown shoe or a casual men's brown shoe. 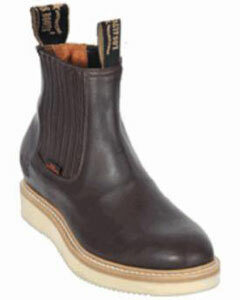 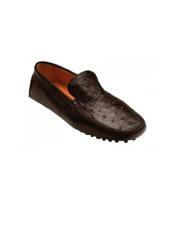 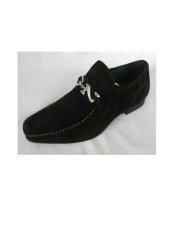 Mensusa sells amazing collection of both formal and casual brown shoes online. 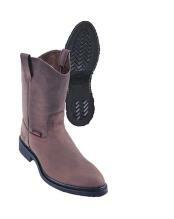 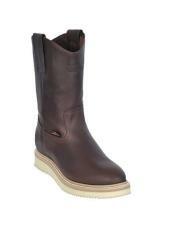 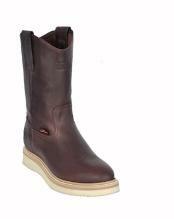 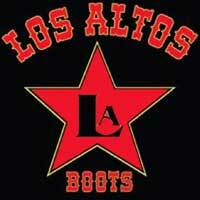 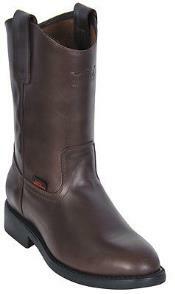 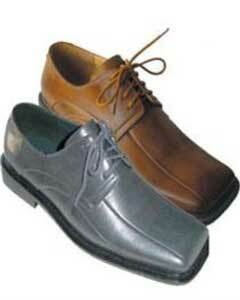 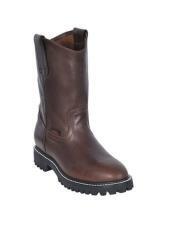 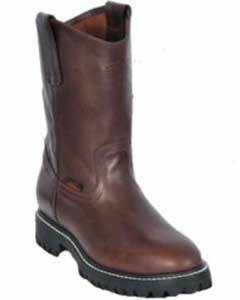 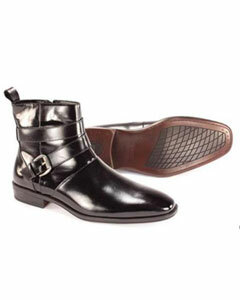 We have a dedicated category selling men's brown shoes at cheap and affordable prices. 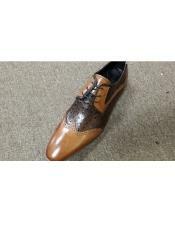 We sell both branded and regular men's brown shoes. 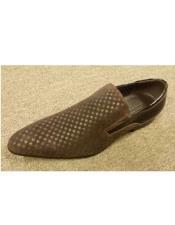 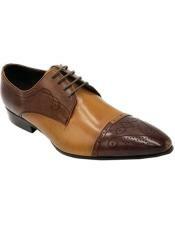 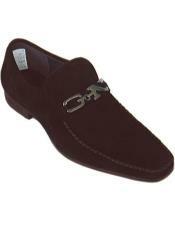 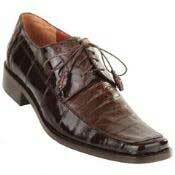 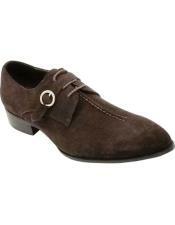 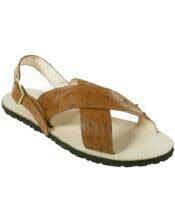 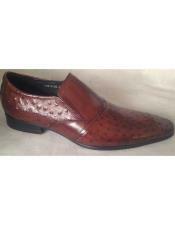 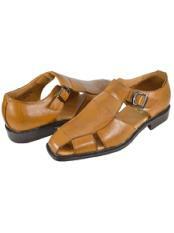 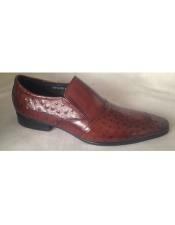 Some of our brown shoes collection is offered at discounted prices as well. 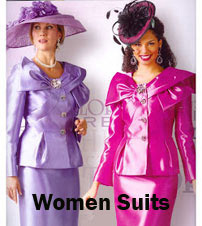 Whatever be your style, we have something to offer for every taste. 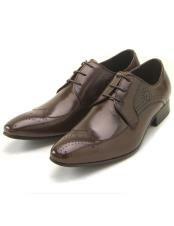 Be it casual or formal or semi formal or semi casual, brown shoes for men that suits every style is available at Mensusa. 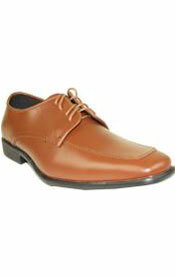 We stock men's brown shoes in all men's sizes including big and tall. 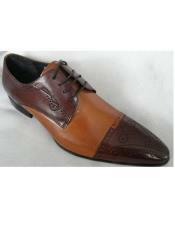 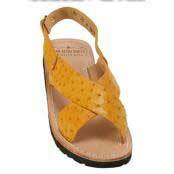 Hence you are sure to find the right brown shoe for your outfit from this category. 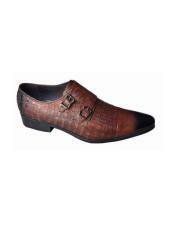 Mens Brown Dress Shoes " Mens Brown Leather Dress Shoes " Brown Leather Dress Shoes "
Mens Brown Dress Shoes Fashion " Mens Brown Dress Shoes With Buckle " Brown Pointed Dress Shoes "
Light Brown Leather Dress Shoes "